No, not those kinds of bubbles. Has one of more of your tires been doing the shimmy, shake, and wobble recently? Not good. 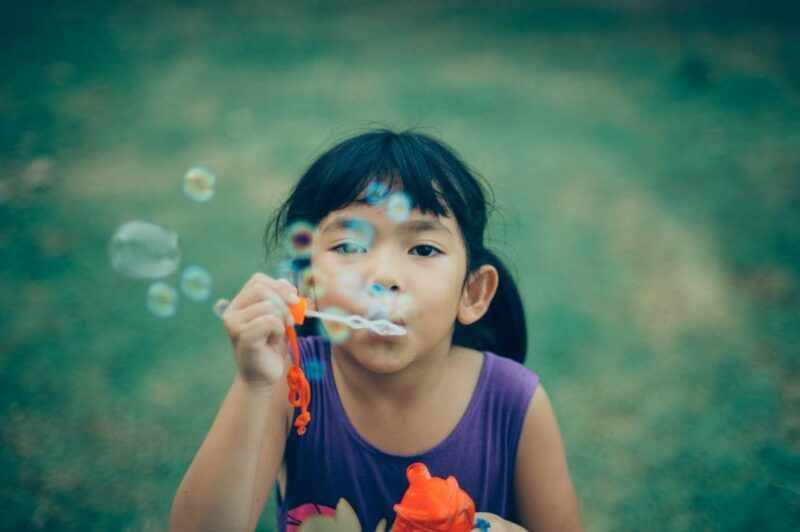 We’re addressing irregularities that are neither playful, fun, nor harmless: tire bubbles. Tire bubbles are exactly what they sound like: a bulbous bulge protruding from the sidewall of the tire. The tire’s sidewall is the smooth face of the tire that connects the tread to the wheel rim. Punctured, torn, or bulging tire sidewalls are a much bigger issue than a typical flat in your tread. What causes tire bubbles/sidewall bulges? Tire bubbles are caused by air leaking from the inside of the tire into the outmost areas. Because tires are built with so many different layers, air can get trapped in tiny pockets and eventually cause a noticeable bubble. Like a real bubble, if too much pressure builds up inside, the bubble will burst. In this scenario, a tire blowout can occur. Remember when you accidentally pinched your finger in a tight space (like a drawer or door) and the skin bubbled as a result? The same thing happens when you hit a curb; your tire is pinched between the wheel and the curb, causing a bubble to form. Other common types of impact are: potholes, speed bumps, railroad crossings, construction areas, medians, and miscellaneous debris. Defective tires can happen, but they are a much more uncommon cause of tire bubbles. Is it safe to drive on a tire with a bubble? The long answer – absolutely not. Regardless of major or minor damage, it is never safe to drive on one or more faulty tires. Doing so could cause irrevocable damage to your vehicle and jeopardize your safety and the safety of motorists on the road. 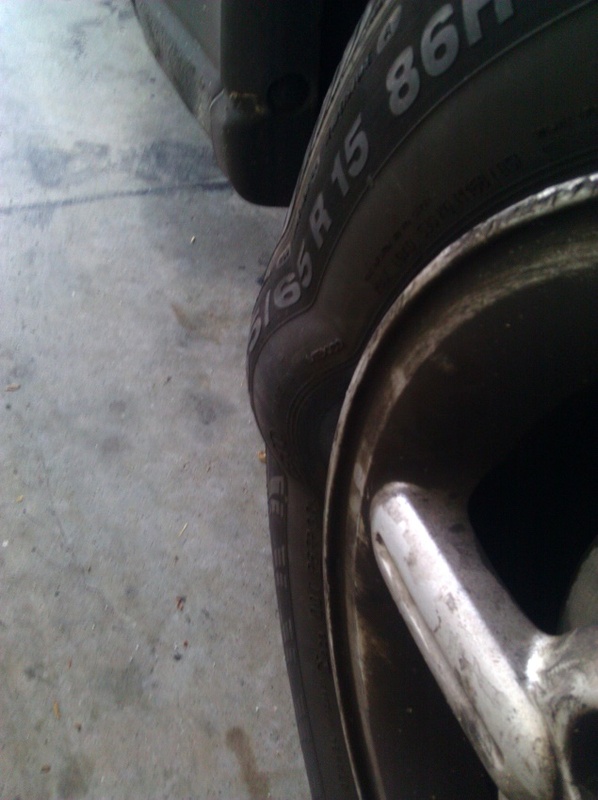 If you notice tire damage while your vehicle is parked, do not drive! Damaged tires are very dangerous at highway speeds, especially in inclement weather or on busy roads. How do I repair my tire sidewall? Unfortunately, the tire sidewall cannot be repaired. Unlike a typical flat—which can often be patched if the damage is in the tread—sidewall damage cannot be patched. This is because tires are made of cords that run around the tread of the tire and make direct contact with the road. On the sidewall, there are no cords. So, when a hole, bubble, bulge, or other type of irregularity occurs, the patch will not hold for long because there’s nothing for it to hold on to. Fortunately, many company offer warranties that cover damage incurred from everyday road hazards. Tires-Easy is happy to offer Free Road Hazard Protection! This exclusive program is complimentary with purchase of passenger or light truck tires from Tires-easy.com for a period of 12 months. It covers damage resulting from a puncture, bruise, or impact break incurred during the course of normal driving on roads maintained by state or local authorities. For more details on what’s covered under the Free Road Hazard Protection program, read the Terms & Conditions. Check tire pressure weekly. Refer to your owner’s manual or the inside edge of your driver’s side door for the appropriate pressure level (psi). Get your tires rotated every 3,000-5,000 miles to make sure tires wear evenly. Remember that tires must be replaced in pairs. Replacing two tires is satisfactory but replacing all four tires together is ideal. Always carry a donut – a spare tire, that is. You never know when you’ll need it! Remain vigilant. Inspect your vehicle from top to bottom on a regular basis is great preventative maintenance. Then, you might catch a faulty tire well before a blowout or flat occurs. Wheelbarrow Tire Repair or Replace?